Why choose Vickie Gallimore, CRS, GRI, CRP, ABR, CLHMS, CDPE, SFR? Vickie is the number one producing agent in Randolph County. She began her real estate career with RE/MAX in 1989 and during her first year gained 1st place market share in her market area. 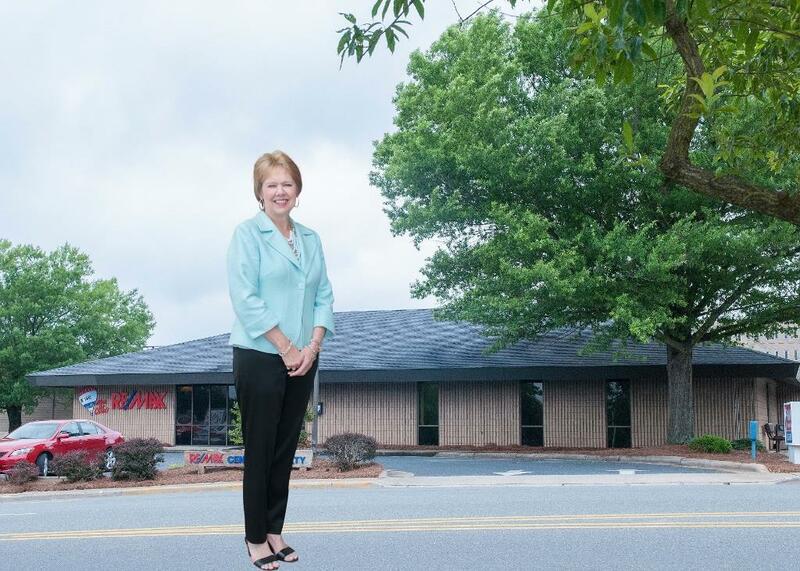 For this monumental effort, she was named Broker/Owner of the Year with RE/MAX. Her peers in Randolph County chose Vickie as Realtor of the Year in 1996. Vickie has consistently ranked in the Top 20 in North & South Carolina. Within six short years she was inducted into the RE/MAX Hall of Fame. In 2003, she received the Distinguished Service Award. In 2008, Vickie received the Circle of Legends Award, the highest level of production and service within the RE/MAX organization, and is also in the Top 20 Commercial Teams in the US. You could ask any question about Randolph County North Carolina and Vickie Gallimore would know the answer right away. After all she was born and raised in Asheboro and she has raised her own family there as well. Everyone knows that whether you are buying or selling a home Vickie is especially committed to making every experience enjoyable and satisfying. Vickie has such an understanding of service to her customers that she has been awarded into the Circle of Legends, a top honor in the real estate industry. Vickie also extends her considerable energy towards the community. She is involved with many volunteer organizations and the local Chamber Of Commerce. She is a 2008 ATHENA Award recipient, Randolph Economic Development Corporation, Randolph Community College, Randolph Hospital, Randolph Rotary Club. Vickie is a NC licensed real estate appraiser, a Certified Residential Specialist (CRS), an Accredited Buyers Representative (ABR), a Certified Luxury Home Marketing Specialist (CLHMS), a Certified Relocation Professional (CRP),Graduate of Realtors Institute (GRI), Certified Distressed Property Expert (CDPE), Short Sales & Foreclosure Resource (SFR). Relocating? Call Vickie, she can help you with all your real estate needs. If you are still unsure why you should call Vickie, see what her clients have to say. We were so fortune to have Vickie as our realtor to find our dream home within a tight timing frame of our company’s relocation schedule. She had demonstrated her thorough knowledge of home construction and local market. She was very patient and always strived to help us see the houses we wished to check; no matter it was a Friday evening or a Sunday afternoon. With th...e amount of time, travels, and personal sacrifices Vickie had committed to us, we knew she was providing us a service instead of making a profit. In the past few months, Vickie has been there every step of the way. She has answered every emails and phone calls of ours in a timely manner. Her professionalism, mentorship, honesty, and hard work ethic are much recognized and appreciated. Thanks so much again to Vickie and the RE/Max Central Realty team for such a pleasure to work with. Our custom log home was located in a fairly isolated location in the country which we knew would be a plus for some but a negative for many. We listed the home with Vickie and received multiple offers within a week. We worked with Vickie and the buyers to close the sale over the next few weeks. The experience could not have been better for both us and the buyers. It was a real pleasure to work with a professional who understands the market and the local community. Vicki worked very hard to sell my mom's house. Being out of town she handled things in a matter that made things as easy on me as possible. I was very appreciative of all of her hard work and advice. Vickie is a great realtor. She is kind , trusting , and very patient. She will answer all your questions. If she does not know the answer , she finds out. She was so much help when we bought our new house. We are getting her to sale two other houses for us. She is a very caring person. She has also helped us by recommending someone for repairs for different things. We have always been pleased with everyone she recommend. You do not just get a realtor with Vickie you get a friend. Thank you Vickie for all your help!!! You made buying our house so fantastic and nice. Let me take this opportunity to say what a terrific job Vickie accomplished for our family in the sale of our family home. Her professionalism along with her ability to find a solution for the overall process was a refreshing experience; very much appreciated. I appreciate Vickie being an experienced, kind representative for the entire Randolph County area. I am so proud of her good work. Vickie was phenominal in every step of the way. She was very patient as we took our time making a decision. She is always on time for showings. We had an excellent experience with her during our search process that lasted around 6 months. I will recommend her to anyone looking to buy a house in the Piedmont Triad, NC. Outstanding. Best in the area. Has helped me sell two homes in down markets. Highly recommend!! !